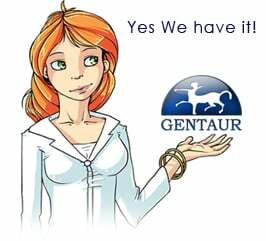 Gentaur antibody-antibodies.com The Marketplace for Antibodies : Nucleotide and deduced amino acid sequence of stp: the bacteriophage T4 anticodon nuclease gene. Nucleotide and deduced amino acid sequence of stp: the bacteriophage T4 anticodon nuclease gene. Pre-existing host tRNAs are reprocessed during bacteriophage T4 infection of certain Escherichia coli strains. In this pathway, tRNALys is cleaved 5' to the wobble base by anticodon nuclease and is later restored in polynucleotide kinase and RNA ligase reactions. Anticodon nuclease depends on prr, a locus found only in host strains that restrict T4 mutants lacking polynucleotide kinase and RNA ligase; and on stp, the T4 suppressor of prr restriction. stp was cloned and the nucleotide sequences of its wild-type and mutant alleles determined. Their comparison defined an stp open reading frame of 29 codons at 162.8 to 9 kb of T4 DNA (1 kb = 10(3) base-pairs). We suggest that stp encodes a subunit of anticodon nuclease, perhaps one that harbors the catalytic site; while additional subunits, such as a putative prr gene product, impart protein folding environment and tRNA substrate recognition.